OSRAM Opto Semiconductors is a manufacturer of optical semi-conductor devices including LED, sensors and lasers. The company is a longstanding supplier and partner of LED semiconductors to LEDiL. CCTV cameras have been with us for many years and are becoming more and more of a necessity for homes, businesses and security services around the world. 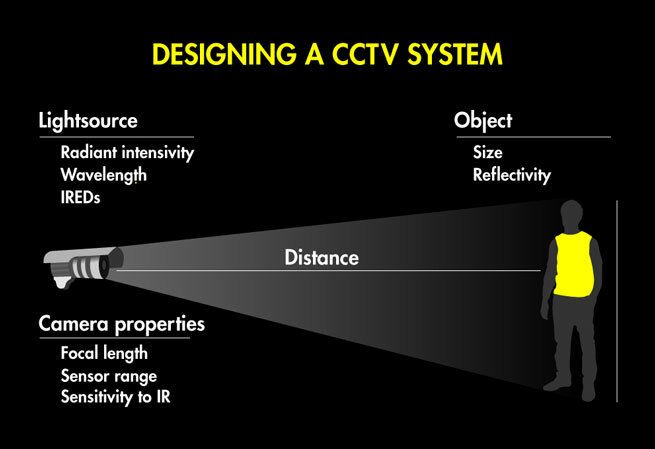 But CCTV is only as good as the camera’s field of view (FOV) and the clarity of image within it. 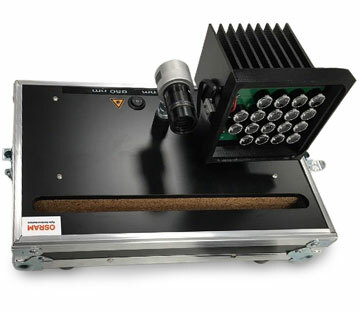 Light source, object and the camera lens system all need to be considered when designing a CCTV system. The light source should consider radiant intensity with regard to optics used, as well as wavelength and the number of IREDs required. 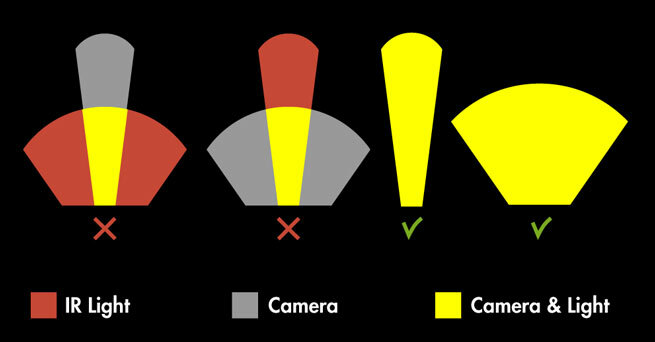 The size of the object, the distance between it and the light source and the reflectivity of the object, is it diffuse or specular, are important considerations; as is focal length, sensor range and IR sensitivity. Light that is too wide for the camera’s FOV is wasted and reduces the illumination range while light that is too narrow for the FOV creates glare and white out in the centre with corners incorrectly illuminated. Beam distribution should ideally match the camera’s FOV. OSRAM have been conducting comparison research using LEDiL lenses to test the differences in performance between 850 nm and 940 nm illumination with the purpose of increasing the effective range of CCTV. The test requirement was to illuminate a minimum area of 20 m x 20 m at a target distance of 100 m.
With these target criteria in mind, and after consultation with LEDiL, OSRAM chose to use our FA11208_TINA-RS with a FWHM of 10 degrees for their tests with very positive results. The tests showed the sensitivity of the sensor is much lower at 940 nm and to compensate for the lack of sensitivity you need bigger IR exposure on the object. Therefore you need to be able to control the light better by putting more IR on the object in order to compensate for decreasing camera sensitivity. So in a nutshell you need optics to be able to increase the level of IR on the object to a high enough level for the camera sensor to capture the image.